There it is, nestled nicely between chaotic days filled with work, activities and a never-ending list of to-do&apos;s. A beacon of hope, an opportunity to relax and rejuvenate, a giant circle, filled with the glorious phrase "Date Night." Oh how I love you, date night. Generally, I don&apos;t really care where we go. Going somewhere, anywhere, to take a break and just be with the hubby is good enough. And let&apos;s be honest, if I don&apos;t have to cook or clean, I&apos;m already giddy. As if finding the time (and a sitter) wasn&apos;t hard enough, the cold winter months can make planning a date night a challenge. We want to get out, but it&apos;s cold, so we kinda wanna stay in. Luckily, I asked around and found a variety of options for your next date night, right here in Hendricks County. Wine and live music on Friday nights? Yes, please! 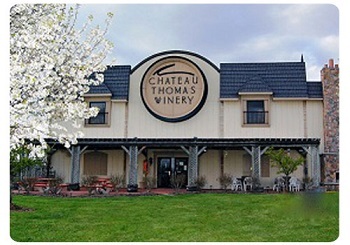 Chateau Thomas Winery, 6291 Cambridge Way, Plainfield, is the perfect setting for a winter date night (and summer, spring and fall). On Friday nights from 6:30-9 p.m. you can even hear live music in the Tasting Room for FREE and sample 5 of the winery&apos;s best for just $5. An assortment of cheeses and crackers are also available for purchase. The winery&apos;s winter hours are: 10 a.m.-8 p.m., Monday-Thursday 10 a.m.-10 p.m., Friday and Saturday and noon-6 p.m. on Sunday. They also plan to host a Valentine&apos;s dinner on Saturday, Feb. 13. Call (317) 837-9463 for more details. This is such a nice place to unwind after a busy week, catch up with another couple, or relax and enjoy some live music and great wine on a Friday night. Perhaps their Scott&apos;s Red blend at just $10.99 a bottle, now that&apos;s my kind of doggy-bag! 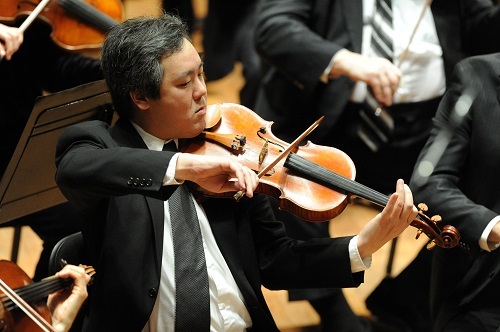 The Hendricks Symphonic Society will offer a few opportunities this winter to enjoy some beautiful music. "Chamber Music IX" - Sunday, Jan. 31 at 3 p.m.
"Joyful Voices" - Youth Choir and Amy Eggleston on Sunday, Feb. 14 at 3 p.m. Both of these FREE concerts are presented at Bartlett Chapel United Methodist Church, 4396 E. Main St., Avon. Come relax and be serenaded before you start another busy week. The Symphony Orchestra also will present "Northern Exposure" - music from Finland and Russia - at 7:30 p.m. on Feb. 26 and at 3 p.m. on Feb. 28. This concert is held at Avon Middle School North, 1251 Dan Jones Road, Avon. Purchase tickets for Northern Exposure here. Perhaps you&apos;re looking for a different genre of music, say something more upbeat (and, umm, louder). 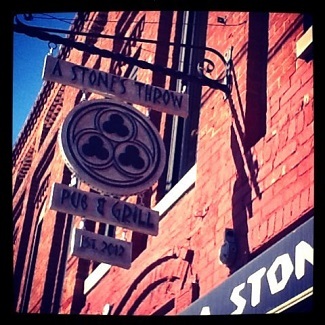 A Stone&apos;s Throw - a pub and eatery at 36 E. Main St., Brownsburg - offers a variety of live music throughout the week. This cigar bar (smoking establishment) has made a name for itself by hosting some great bands, but the fun doesn&apos;t stop there. Tuesday is Open-Mic night, Wednesday is Karaoke night, Thursday is Acoustic night and a full, live band performs on Friday and Saturday nights. In addition to their regular weekly lineup of entertainment, they also host special monthly events like poker tournaments and comedy shows. Call (317) 852-4901 to find out what they have going on at the pub before your next date night. Their menu features your favorite "bar fare" - pizza, burgers and sandwiches, but their nachos and mac-n-cheese are the big crowd pleasers. Make sure to add an order of fresh cut, in-house French fries and their fried pickles. Business hours are: 3 p.m.-3 a.m., Monday-Thursday; 11 a.m.-3 a.m. Friday and Saturday and noon-midnight on Sundays. Follow A Stone&apos;s Throw on Facebook for upcoming events and bands scheduled. This truly is one of our favorites located at 911 N. Green St., Brownsburg. It&apos;s a great place to meet up with friends for dinner and drinks. They&apos;re famous for their tenderloin, but the bestie and I love the fried cheese balls. Live music is offered in the bar every Saturday through April, beginning at 9 p.m. The wait staff is always friendly and eager to suggest a new drink or menu item. Green Street is also a safe bet because if the band gets too loud or the bar is a little crowded for your taste, you can ask for a table in the dining area. Business hours are: 11 a.m.-10 p.m., Monday-Thursday; 11 a.m.-11 p.m., Friday and Saturday and closed on Sunday. Green Street also offers Live Trivia night on Tuesdays from 7-9 p.m. You can enjoy 49-cent wings on Thursdays and a prime rib dinner special on Fridays. Our go-to date night is often dinner and a movie. Often, we can&apos;t seem to find a movie we&apos;re interested in and too often, I complain that I can&apos;t have a glass of wine while I watch whatever random movie we decide on. Once again, our small-town theater will provide an answer to both problems coming up in February and March. First, by showing movies I&apos;m familiar with and actually enjoy. Second, by offering beer and wine with my tub of popcorn. Genius! The Royal Theater at 59 S. Washington St., Danville will show the classic "When Harry Met Sally" at 7 p.m. on Feb. 11 and "Hoosiers" at 7 p.m. on March 10. Tickets are just $5 and beer and wine will be available. Last, but certainly not least, is a breakfast/brunch/lunch (and soon dinner) date option at Courthouse Grounds, 65 S. Washington St., Danville. This lovely coffee shop, bistro and tea room will soon add dinner and cocktails to their menu and provide lounge setting that is sure to be a great date night destination in the near future. For now, if you should be so lucky as to find an opportunity to have a breakfast or lunch date, set your sights on Courthouse Grounds. I love the rare opportunity to have a delicious, home-cooked breakfast with my husband - especially if it&apos;s not made by me at home. The menu at Courthouse Grounds includes a variety of coffee and tea, pancakes, omelets, waffles, sandwiches (cold and hot), soups and salads. The charming, old building that houses Courthouse Grounds is intimate and inviting - perfect for a slow, peaceful start to the day with hot coffee and conversation. Current business hours are: 7 a.m.-2 p.m., Monday-Friday; 8 a.m.-1 p.m., Saturdays and closed Sundays. They will host their annual Valentine&apos;s dinner on Saturday, Feb. 13. Call (317) 989-1600 for more details or to make a reservation. 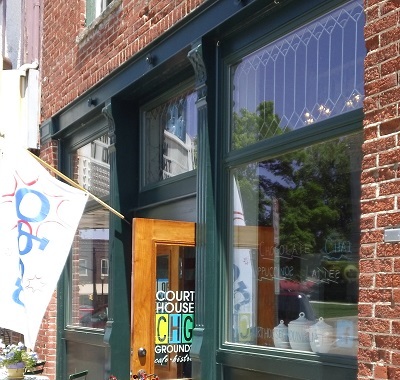 Keep watching right here on the Hendricks County Insider for upcoming changes to both the menu and business hours at Courthouse Grounds. Whatever your personality, interests or time allotted, I hope your date nights this winter are full of laughter and free of to-do&apos;s, tasks, and laundry piles. Looking for more suggestions? Click these links to browse the vast selection of Restaurants and Entertainment in Hendricks County.